Manage air flow and keep debris out of your air intake with this durable plastic hood scoop (part number 135212RR) made by Mopar for your Jeep Wrangler. The hood scoop has a black finish and installs easily in minutes with tape. No drilling is necessary. 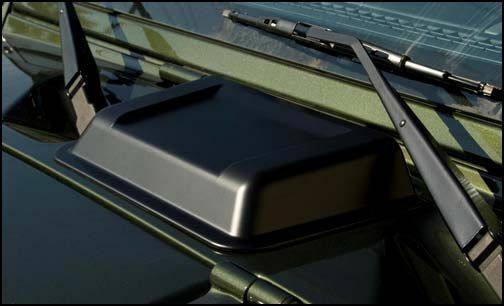 This Mopar hood scoop is just one of the many exterior accessories from JustforJeeps.com to keep your Wrangler looking good and working right. I have not had the opportunity or weather to install the scoop. Tape is already attached to item so it basically should be a locate area to install, peel tape and apply. Since no instructions included my only thought is the scoop should either be marked on the underside with arrow pointing front or picture of one mounted included with item. ConsNo directions on which way it goes. Have to look at the picture in the catalog to know.